Laser hair removal is a largely noninvasive process. Infection is one possible risk of laser hair removal. For those wishing to have permanent hair removal procedures, laser hair removal is among the most practical and reliable methods. As the process is largely noninvasive, it is often mistakenly considered to be completely safe. The procedure, however, is a medical operation, and complications are possible. 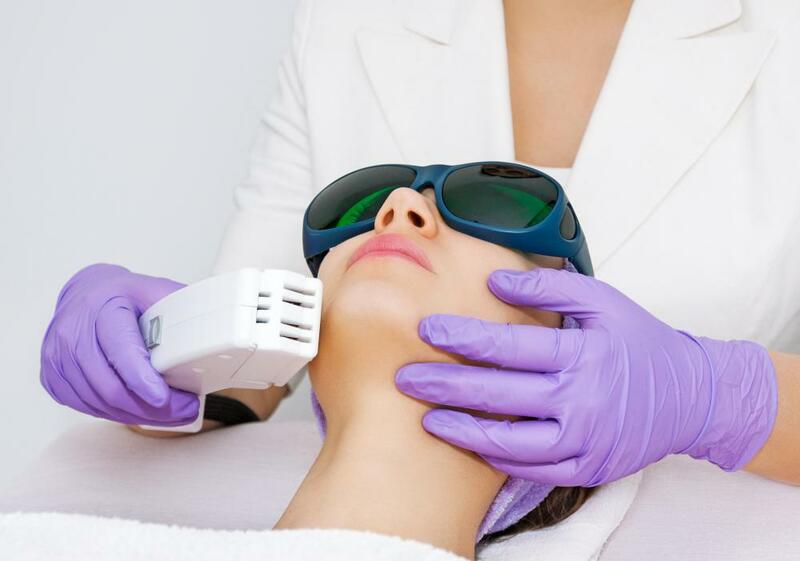 The risks of laser hair removal include burns, skin discoloration, and swelling. Infection, scarring, and eye damage are also possible. The lasers used in laser hair removal are intended to penetrate the skin and burn the hair follicles. Ideally, each treatment is individualized to the patient. The color of the laser light and the length of exposure are selected to produce the safest effective combination. Additionally, precautions such as cooling spray are generally used to keep skin safe during the procedure. Despite these precautions, burns remain one of the most common risks of laser hair removal. Most individuals undergoing laser hair removal will experience some minor discomfort. 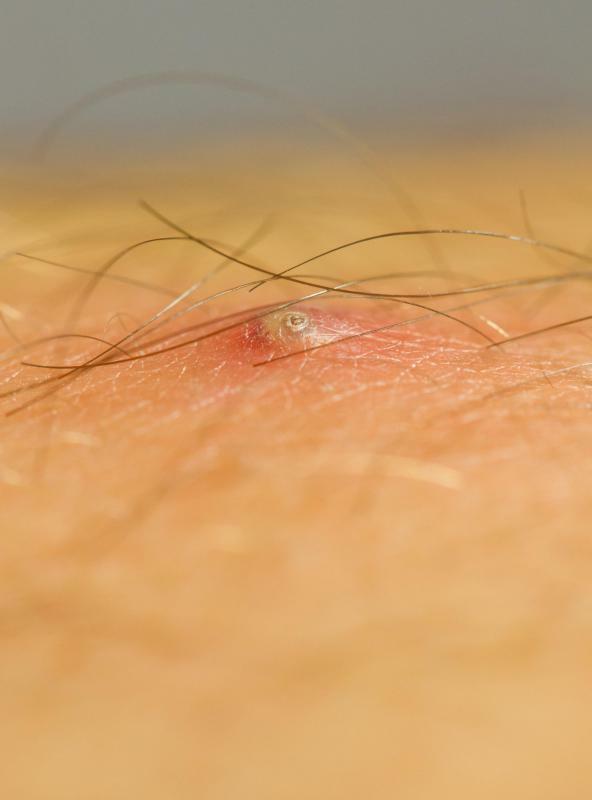 The skin in the area that was treated may become red and swollen. This discomfort is sometimes compared to a mild-to-moderate sunburn. Often, the use of numbing cream is all that is needed to alleviate the pain. In rarer cases, severe burns have occurred during laser hair removal. In cases where burns are severe enough to blister, infections and scarring become very real risks of laser hair removal. Blisters are susceptible to bacterial invasion and require careful treatment to prevent infection. The disruption of the skin in and around blisters often leads to permanent scarring, whether or not the blistered areas become infected. Skin discoloration is commonly listed among the risks of laser hair removal, especially for individuals with dark skin. In some cases, the skin in the area of treatment will become darker. This is referred to as hyperpigmentation and is often reversible. More rarely, the skin can become lighter. This is called hypopigmentation and is generally permanent. Eye damage is possible during laser hair removal and is the reason that patients and practitioners alike are generally fitted with protective goggles during the procedure. Even when fitted with goggles, it is inadvisable to look directly at the laser while it is operating. If at any time during the procedure a patient's goggles are dislodged, the procedure should be halted until they can be replaced. Many of the risks associated with laser hair removal can be reduced by experienced practitioners. Unfortunately, because the procedure is largely unregulated, finding an experienced practitioner can be problematic. Even where specific licensing is required to perform the procedure, the requirements often are very general and demand only that the operator be a physician or a nurse. Rarely is specific training in the procedure required. Certain skin types and conditions increase the risks of laser hair removal. Often, a discussion with a dermatologist is advisable before undergoing the procedure. Additionally, as dermatologists are often called upon to help repair damage from laser hair removal complications, they can have inside information on which practitioners to avoid. How Do I Choose the Best Hair Removal Spray? What Is the Effect of Laser Hair Removal on Dark Skin? How Effective Is Home Laser Hair Removal? How Do I Choose the Best Permanent Hair Removal Cream? What Are the Effects of Laser Hair Removal on Skin? How Do I Get the Best Laser Hair Removal Results? What Factors Affect the Cost of Laser Hair Removal?